For a company hoping to gain fans and customers in the US this year, Huawei has had a rough start to 2018. Earlier this month, just a day before Huawei CEO Richard Yu gave a keynote speech at CES, reports came out that AT&T had canceled plans to carry Huawei phones in its stores. Now, according to a report from Bloomberg, it seems Verizon is also pulling out of a similar deal amid continued pressure from the US government. 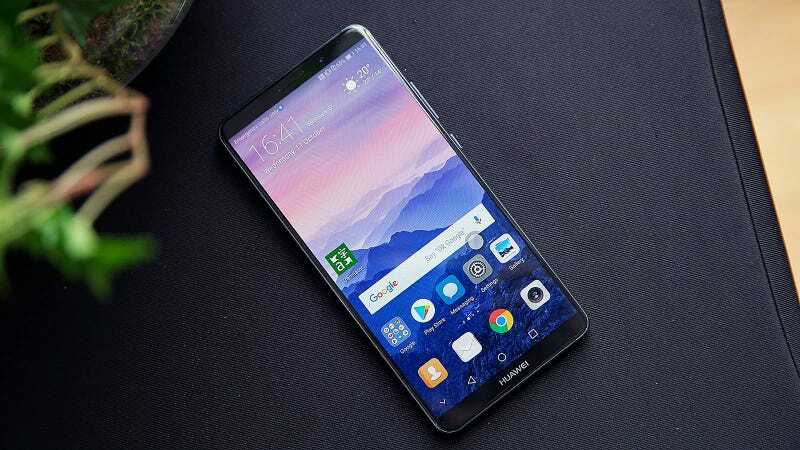 This development is a big blow for Huawei, which has been trying to strike deals with the major US carriers to sell its flagships phones, such as the recent Mate 10 Pro, in stores, rather than depending solely on direct-to-consumer online purchases. According to Bloomberg, the change was driven by concerns from US security agencies, which fear that Huawei could be using its devices to spy on consumers, potentially gathering and sharing sensitive data with the Chinese government. It’s the same story that got both Huawei and ZTE banned from selling networking equipment to US telecoms back in 2012. The issue has recently been re-ignited amid calls for a new bill that would block government organizations from working with service providers using ZTE or Huawei products. Even with Verizon pulling out, Bloomberg mentions that there will be a version of the Mate 10 Pro that will be compatible with Verizon’s 4G network. That’s an important step forward, as previous Huawei phones had been limited to GSM carriers like AT&T or T-Mobile. But for the world’s third-largest smartphone maker, which was trying to seriously expand its sales here in the US, this is another big setback in what is becoming an increasingly hostile market.